Politics in Oregon, land of old hippies and majestic scenery, is getting weird... weirder. On Tuesday Governor Kitzhaber, himself an old hippy who wears blue jeans to his inaugurations (he's had 4), suddenly and mysteriously summoned the president of the National Association of Secretaries of State, Kate Brown, away from a high-powered Washington, DC conference for a 1-on-1, personal, secret meeting in his office. She, being his own Secretary of State, dutifully hopped the next jet back to Salem, leaving all her fellow Secretaries mystified. But when she breathlessly hurried into the Capitol, the Governor looked up and asked, "Why'd you come back so soon?" Now mystified just like the other 49 Secretaries of State, she politely asked what in the name of Lewis & Clarke was so freaking important that it merited a nine hour plane flight?? "Oh," he said, "Well, I'm not going to resign." 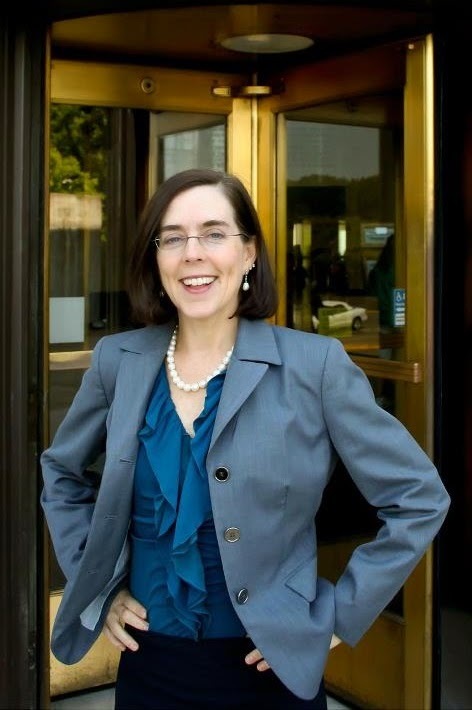 Now, the Secretary of State, who is also next in line for Oregon's throne by the way (that's how they do it there, because they're hippies and they like to be different from states like Mississippi where they have a boring, establishment-type Lt. Governor), didn't think the Governor was resigning either when she left for DC. But he's in some hot water these days, what with his live-in fiancee who once committed a federal crime but the statute of limitations ran out and is also a paid government consultant on clean energy. And there are two 'Recall-the-Gov' campaigns currently running. The main thing tho, according to the New York Times, is that folks are just sick of him. So the scuttlebutt is that in between the time his Secretary of State left for the nation's capitol and when she rushed back, Gov. Kitzhaber firmly decided to finally resign, then just as firmly changed his mind. UPDATE: OK, he's really, really resigning for real next Wednesday. Really.